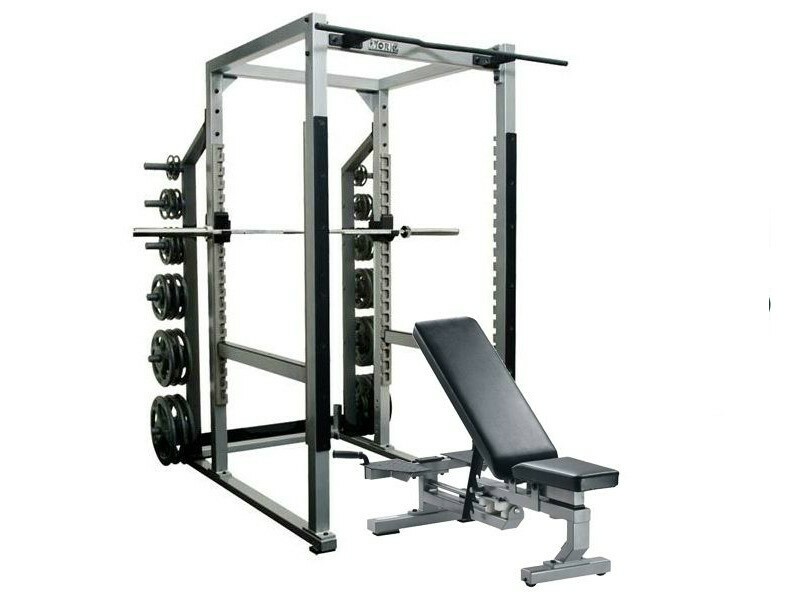 Includes the York STS Power Rack and the weight bench they made to attach to it, the York STS Multi Function Bench. A "stringer" is included to connect them, to ensure that the bench is in the perfect position, doesn't slide, and the entire setup is even more solid feeling. The stringer is quickly removable. A special "depth adjuster" mechanism lets you slide the pad several inches backward for incline position to stay right under the bar. The rack has a pull up bar and also gives you the option of doing dumbbell exercises with the bench, or you can of course do barbell exercises like deadlifts outside the rack. This York STS power cage also has several options you can add - dip handles, exterior safety arms, extra bar catches, and pulling platforms.